Today we dig into the Injury Recovery Mindset necessary for the athlete, along as for the everyday man/woman. We also tie this to Scott’s four-legged best friend, son, and pup, Calvin The Coonhound. Calvin has recently undergone an amputation surgery to save him from leg pain, cancer, and more. 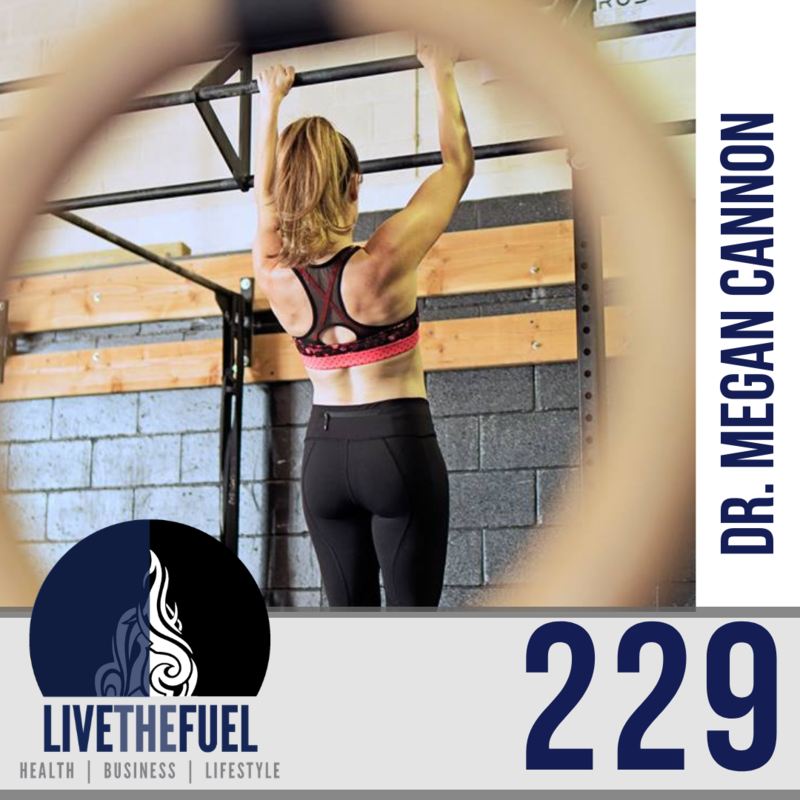 Dr. Megan Cannon is a sport psychologist whose mission is assisting athletes in reaching their peak potential both on and off the field. She is a licensed clinical psychologist who specializes in Sport Psychology. She received her Ph.D. in Clinical Psychology from Nova Southeastern University in 2013, after earning a Bachelors Degree in Psychology from Wilkes University. She completed her pre-doctoral internship and post-doctoral training at Pacific Clinics, a community mental health agency in Southern California. While at Nova Southeastern University, Dr. Megan had the opportunity to work in the Sport Psychology Program within the university’s Sports Medicine Clinic. Dr. Megan gained experience providing performance coaching and individual therapy to college student athletes, along with completing presentations and team-building activities with collegiate, high school, and youth club teams. Dr. Megan also administered the Immediate Post-Concussion Assessment and Cognitive Testing (ImPACT 2.0) program to assess athletes’ baseline and post-concussive cognitive functioning and assisted in establishing return-to-play decisions. Dr. Megan currently works with athletes at varying levels in their career. She has worked with individual athletes and teams at schools such as Bucknell University, Duquense University, Lafayette College, Lehigh University, New Jersey Institute of Technology, Old Dominion University, University of Massachusetts, University of Pittsburgh, and more. Additionally, she has worked with athletes who have competed in the IronMan Triathlon and CrossFit Games. Dr. Megan has appeared on ESPN’s SportsCenter multiple times as an expert on sport psychology. 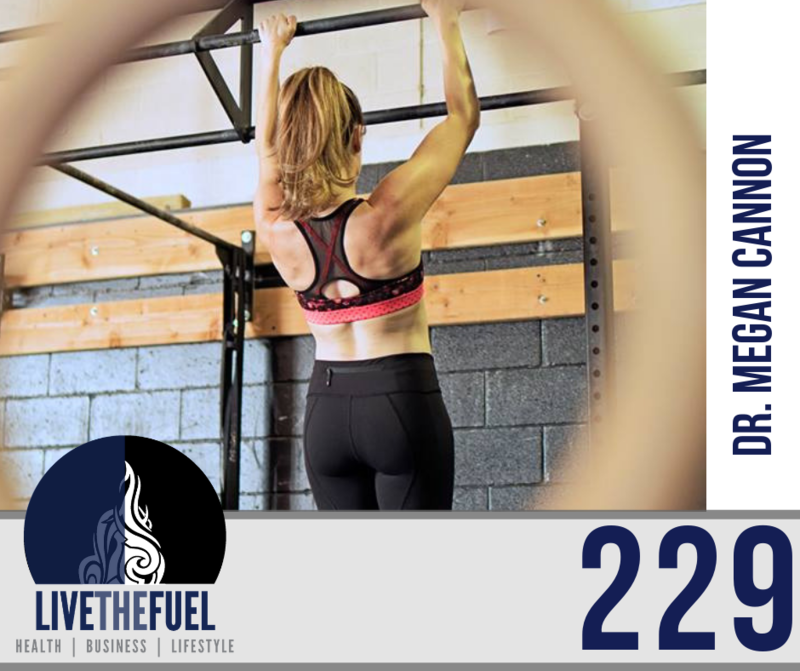 She is a regular co-host on the LIVETHEFUEL Podcast and has made guest appearances on the Heads ‘N Tales Podcast, Brotherly Love Sports Podcast, and LionHeart Radio Podcast. Dr. Megan delivers keynote speeches at conferences, universities, and high schools on sport psychology and mental health concepts and skills. Additionally, she consults with NCAA athletic departments, coaches, and university counseling centers to optimize and establish resources to enhance the mental health of student athletes. Dr. Megan is licensed in California and Pennsylvania, and is a member of the American Psychological Association Division 47: Society for Sport, Exercise & Performance Psychology. Dr. Megan grew up competing in swimming, softball, and basketball. She was a member of the 4-time district winning women’s swim team at Allentown (PA) Central Catholic High School and competed at the state level. Along with performing on the field and in the pool, Dr. Cannon performed and competed on stage. She began training in ballet, jazz, and tap at the age of three and continued throughout college, where she minored in dance and was a member of the university’s dance team. [00:56] The struggle is real, and the entrepreneurial spirit people. [01:35] Shout out to rob a SYR CrossFit. [01:54] Scott’s four-legged family which is becoming a three legged family member. So shout out to Calvin The Coonhound in surgery recovery today. He finished his surgery last night, has become a tripod so I wasn’t sure what your thoughts were around that because we’re going to kind of tie this into the show here about injury and athletic recovery. [03:00] Shoutout to Penn Ridge Veterinary Hospital because that’s the ones who are helping save Calvin’s life. So quick backstory. Calvin is our English Red Tick Coonhound and he’s 10 years old. In June he started getting a limp and we were surprised because we actually she made me stop taking him mountain biking with me. [04:45] Fast forward the lab work we find out is Cancer that ate away at the cartilage in his elbow. That’s why he was in so much pain. We did all the lab work we figured out okay the cancer is not spreading did not metastasize. We’d have to take the leg off because he’s in so much pain. We took the entire right leg off, the shoulder, scapula, everything. [07:20] We have that executive functioning component to our thought where we’re able to have that sequential reasoning and abstract thinking. If there was an injury that was to the extent of losing a limb or something, that impactful, we can think ahead, know what our lives are going to be like. [08:01] There’s also that psychological process of rehab. We remember how strong we used to be, or how it used to be before, but now, we’re starting here. [09:12] I feel it’s probably different for everybody. It’s harder to look at where you’re at today, whether it’s the circumstances, the condition of an injury or something like that, or other elements of your life.I think Andy Bernard says it best, I’m a huge office fan, but he says when I was here at Dunder Mifflin, I kept wishing that I was back in Stanford. And then when I was here, I kept wishing I was there, you know, I wish there was a way that we could realize we’re in the good old days when we’re there. Sometimes we can have a little bit of glorification of the memories where we were right up all the positive. [13:29] Maybe it’s like a culture shock thing might be right. I think through the self-development in the professional development after that transition helped me/us because you realize, okay, are you over-glorifying it to celebrate those experiences. [16:28] Two individuals that climbed it with him throughout his rehab process, he just kept saying, I’m doing it, I’m doing it. We didn’t have the heart to tell him. You can’t tell someone in that condition. [19:26] We’re probably also supposed to struggle through that process. Yes, that’s where you learn. I tell people in the entrepreneurial space, right, like you’re supposed to make mistakes. That’s how you learn some of the most powerful things you can carry into your future. Because now they’re hard-coded in your brain because they were painful and you’re not gonna forget them. If I was able to get through that surgery, or if I was able to get through that injury, and I was able to do that I can handle this, you know, so it can, it can really help shape us, but also give us confidence in a way going forward. So those who make it through those struggles comes with great growth. [21:53] The trials and tribulations, the bouncing back, the mindset from an injury, I think reflecting on lessons learned. I think a lot of us skip over these lessons that we’re supposed to be learning. [22:58] The culture of their sport where it really is, you push through like it, that’s just the culture of the sport that they play. So I think that there’s definitely to a point there’s a cultural influence. [24:10] Turns out that I had dislocate a rib in my back, in reality you can displace the cartilage apparently. So if you’re trying to breathe and your rib cage goes to expand, mine was held back from doing that. So every time I tried to breathe, the cartilage was shifted. So I had to have a chiropractor fix all this. [25:59] They just feel like they have to push through the pain. I didn’t know, if I was able to play with a dislocated shoulder. [26:25] I’m letting my body recover. Maybe I’ll change it up. Maybe instead of going to the CrossFit gym, I’m going to go and maybe do some yoga or do some mobility work or do something else. [31:42] Making sure the framed and signed “The Rock” artwork would properly go with the décor. I think it’s just, be in the now. Whether you’re talking injury and our previous level of functioning, or what you used to be able to do. What you wish you could do, or what the other person is doing. It’s all about what we’re in right now. We could sit here and wish forever that the injury didn’t happen or that things went differently, it’s about accepting all of this. This is where we’re at right now, even though maybe we wouldn’t choose to be here, this is what it is. It is okay and we will be fine. There is that acceptance, whatever that present moment is giving you, we can then do something with it, in a much more efficient and impactful fashion.